After having explored the fishing possibilities of County Donegal and after our programme on Irish Brown trout Lakes, we are going to have a close look at Irish Brown Trout Rivers. 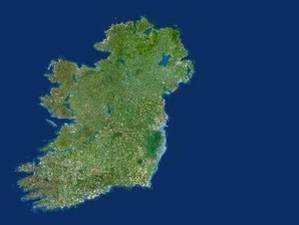 Since there are literally hundreds of Brown Trout rivers in Ireland, our selection has to be very subjective. Apart from the obvious dozen or so, many anglers will have their own, if somewhat different list. The ones we picked here however will give a good overview, on what River Brown Trout angling in Ireland is all about. 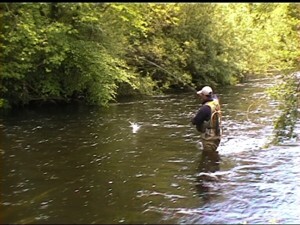 The brown rout is the most widely distributed freshwater fish in Ireland. 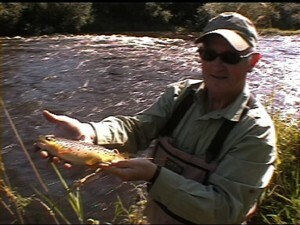 Dietrich Bohnhorst with a nice one from the Robe River, Co. Mayo. You will find this delightful feller in rivers of all types. From tiny boggy mountain streams to the broad limestone rivers of the midlands. To thrive, brown trout need simply clean, cool water. A requirement under constant pressure nowadays. Modern society and Celtic Tiger, along with arterial drainage schemes during the 1960s, 70s and 80s have destroyed a lot. 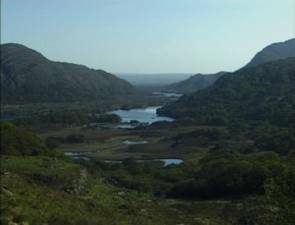 Killarney National Park, with Rivers and Lakes. There is a bit of light on the horizon though. Vested interest groups have done a lot to improve things and river brown trout fishing in Ireland is today definitely worth a consideration again. Brian Hegarty at the River Boyne near Trim. If you don’t know anything about Irish brown trout rivers, just come here and hope for the best, you will be disappointed; you will be disappointed a lot actually. The river you want to fish is overgrown, has no access or nowhere to park, or is unfishable for some other reason. The Laune River at Ferry Bridge near Killarney, Co. Kerry. 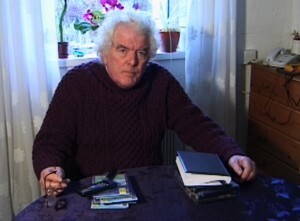 This programme, apart from being a mere travelogue, will help you to be less often disappointed and see the rivers more realistically. Because we have experienced all the disappointments when researching, fishing and filming. 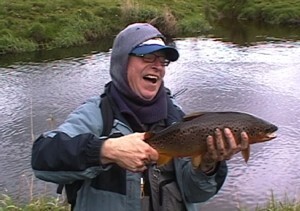 Our DVD therefore is the ideal companion and travel guide for everyone wishing to fish Irish Rivers for Brown Trout. Fishing the Dromore River, Cootehill, Co. Cavan. 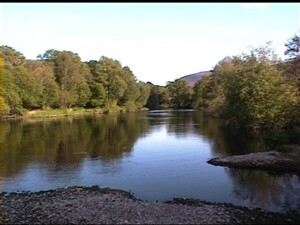 For more Information on various Irish Rivers use the search facility on this site, or visit our DIARY section.